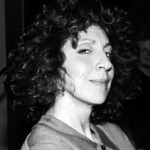 Though possibly better known for her work on television and in film – she was a founding cast member in the celebrated Canadian TV series, SCTV – Andrea Martin has appeared in five Broadway musicals since 1992. 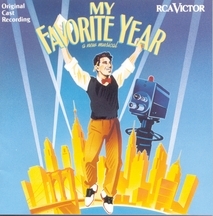 In her Broadway debut as Alice Miller in Lynn Ahrens and Stephen Flaherty’s musical, My Favorite Year, Martin won both the Tony® and the Theatre World Award for Best Featured Actress in a Musical. 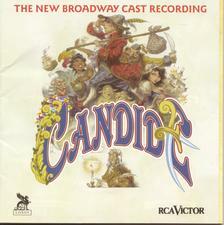 Since then, she played the Old Lady in the 1997 revival of Bernstein’s Candide, Aunt Eller in the 2002 revival of Rodgers and Hammerstein’s Oklahoma!, and appeared as a replacement for Golde in the 2004 revival of Fiddler on the Roof. Most recently, Andrea Martin played Frau Blucher in Mel Brooks’s own musical adaptation of his film, Young Frankenstein, in 2007. Martin was nominated for a Tony® and a Drama Desk Award for her performance.